The following information is a guideline to help you in your role as team parent. It is based on what is typical of a team in our league. You may add/delete or change items to whatever works best for you and your team. One person can serve as team parent or you can divide up the list in whatever manner works for your team. DOGS ARE NOT ALLOWED AT PRACTICES OR GAMES. THANK YOU IN ADVANCE FOR YOUR COOPERATION HAVE A GREAT SEASON!!! All Teams have their final games on Saturday, November 17th. Using the information provided to you by your Head Coach, set-up a roster/directory email list for the team. Have parents respond back to you on your first e-mail, so you can confirm all e-mails. Verify the spelling of the player’s name; check to see if they have a nickname they prefer to use on the banner and trophy. You or the coach can send out reminders for each upcoming game, changes in schedules due to rain, information on the skills clinics, Picture Day, etc. The league will notify your Head Coach when uniforms are available for pick-up at the office. Distribute by player size. Use paper grocery bag or zip lock bag for each player. Put a game shirt, shorts, socks in each bag, starting with the smallest sizes first and working toward the larger sizes. Close the bag and put the uniform number on the outside of the bag. At the next practice have the players line up in order of size and pass out the uniforms accordingly (the lower the uniform number the smaller the size). Set-up a Snack Schedule. Each family signs up and volunteers to bring snacks to one game. Snacks include a healthy snack for mid-game (oranges, apples, grapes) and an end-of-game snack. Encourage the players to drink lots of water instead of sugary drinks and preferably using a re-usable water bottle. The snack parent should also bring a trash bag and take on the responsibility of cleaning up all team and snack related trash after each game. Trash needs to be taken off site per our permits. Please do not put the trash bags into the garbage cans at the facility. We will lose the use of our fields if we leave them full of trash. Banners are optional and can be purchased or handmade. If you have one, they usually include the Coaches names, player names, team name, team logo and the sponsor’s name. A list of companies that make banners will be provided at uniform pick-up. They usually run around $100 depending on who you use, how fancy it is, if you need the framework and shipping and they have great turn-around time. Divide the cost of the banner among each of the players. The banner is set-up at each game, all tournaments and is included in the team photo on picture day. At the end of the season, teams typically cut it up and give each player their name from the banner, or they give it to the coach or sponsor. Many teams in the older divisions forgo a banner and order t-shirts or sweatshirts. Again, this is optional! We recommend against vinyl banners as they cause glare in the team photos. They say they have a new vinyl that does not interfere with camera flash, but purchase at your own discretion. Approximately $100 with tax and shipping. Trophies are optional, although most teams collect money to buy trophies or medals for the players. Order trophies early, in case there’s an issue with the order. A list of trophy providers is below. All orders need at least 2 weeks advance notice. Typically in October. You will pick up your team’s picture packets from the Sharks office and distribute to the players prior to picture day. 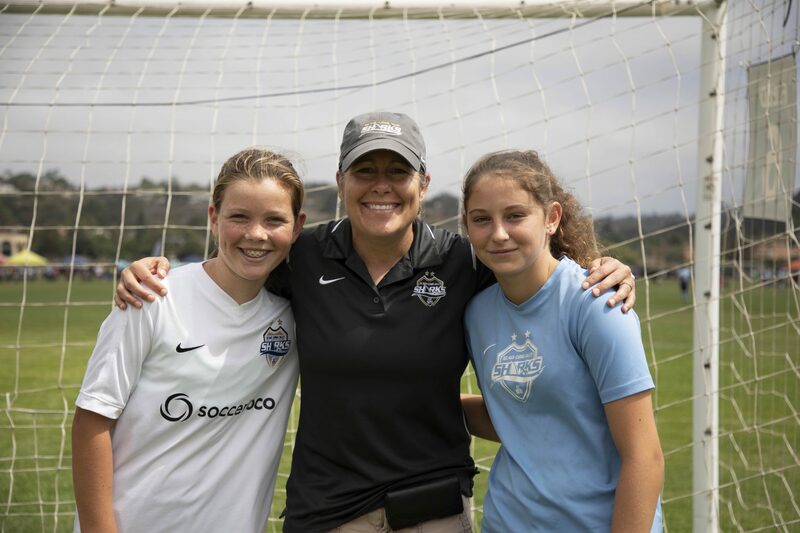 Communicate the assigned picture time, have all players check in with you upon arrival, collect each player’s completed picture packet and process players through the picture process. Each player is photographed individually, as well as a team picture. Coaches are in the picture, along with the banner. Team Parents can be in the picture if you choose. Be sure to have your team roster with contact phone numbers with you for this event in case someone is late you can all them. Pictures will arrive later in the season, you will need to pick them up from the office and distribute to players. There will be NO Picture Make-Up date. If a player cannot be at the event, they will not be in the team photo. They will need to contact the photography studio for more information. Most teams collect money to purchase some type of thank-you gift for the team coaches. A good source of ideas is the coaches’ spouse or their player. Value of the gift varies from team to team. Collect donations from each family ($10-$20) for a gift for coach and assistant. Many teams have an end of the season party. Some hold their parties right after their last game at the field or a nearby park. If you choose this option, please, please, please be sure to clean up and take home all garbage and trash. Some go to local eateries or host it at a parent’s house. Some teams precede the party with a parent vs. player game of soccer. Again, this is up to the team parent and team as to what works best for most of the team. The league provides a team photo and plaque to each sponsor. You will get them with your pictures, please pass them on. In addition each team is encouraged to send a team thank you card or other expression of thanks to their team sponsor. Depending on who sponsored your team, you could pass out the plaque at the end of season party or invite them to one of your games and present the plaque at that time. Depending on whether you have girls or boys, their ages and the location of your practice field, you may want to have an extra parent stay at each practice. This will allow the coaches to focus on coaching and the extra parent can make trips to the restroom, help with “hurt” players, keep an eye on roaming players, etc. Learn more about Safe Sport HERE.